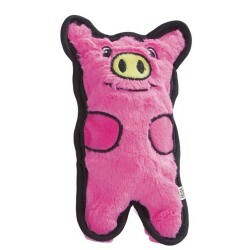 Product Details-Invincibles squeakers keep squeakin if punctured, Dura-Tuff inner lining prevents ripping,No stuffing means no mess Reinforced with double layered seams. Product Information-It doesnt take a rocket scientist to realize that small dogs sharp teeth and shredding instincts are tough on toys. Watching them in action and listening to our customers inspired us to create mini versions of our top-selling Invincibles, Squeaker Mats and Hard-Boiled Softies. Minis are sure to give your beloved little dog longer-lasting fun.